We offer a free lunch the 2nd and 4th Tuesdays of each month in our fellowship hall from 11:30 a.m. to 1:00 p.m. This mission started around five years ago as a reach out to our local community who needed a meal, the fellowship with others, and as a way to feed the spiritual soul. Around two hundred people attend the lunch. The Free Lunch does not run in the summer months. We held the first 2nd Wednesday Dinner in October 2013 and continue to provide an inexpensive meal to the community. $5 a person and $10 a family for a meal with family and friends. The dinner runs from 5:30 p.m. to 7:00 p.m. in our fellowship hall. Mark your calendars for the next meal. The 2nd Wednesday Dinner does not run in the summer months. Various soups to choose from. Take-out only. As you grocery shop, remember the folks at the Ray of Hope who are helping families in our community. We are collecting peanut butter, jelly, boxed cereal, pasta, spaghetti sauce, soups, paper products, etc. Help with the ReStore in Aberdeen and supplying help with lunches and tools for building of homes. Shoeboxes are available through the office September-October to fill up with items for specific age groups and gender. The shoeboxes are then sent to Samaritan’s Purse. The treasures inside the shoeboxes communicates to the child that someone cares for them and gives them an opportunity the love of God. The Mission Committee of WNPC has supported the Friends for Health in Haiti in the past and we will again this year. The mission of Friends for Health in Haiti is to improve the health of the people of Haiti in a caring, compassionate manner, as a reflection of Christian faith. 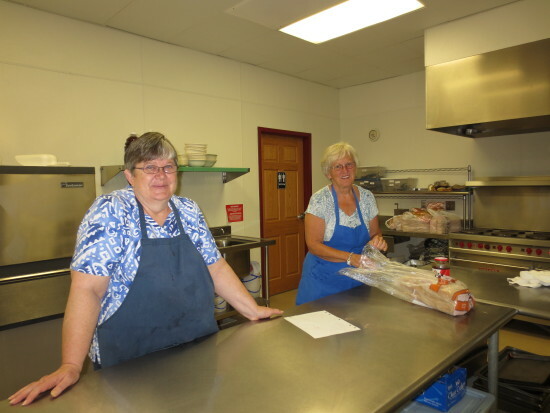 The Mission Committee, along with the Deacons of WNPC, feed a meal to the homeless in Elkton twice a year. Supporting PDA Day In times of disaster all over the world, we are there to help by supporting the Presbyterian Disaster Assistance through the One Great Hour of Sharing Offering. We held our first event of this type in July 2017. The profit from the spaces sold and the chance auction goes towards the missions of the church. The Deacons served lunch and the Kilby Cream Moo Mobile sold ice cream outside. We had 18 vendors who participated selling their wares. In the spring and fall, the church holds a yard sale that is open to the community to participate. The yard sale is held out by Route 276 to be easily seen by anyone passing by. Advertisement starts a month before the event and we sell a 10′ x 10′ space for $10. The profits earned from the selling of spaces goes towards the missions of the church. Our facilities are used by Girl Scouts, Garden Club, Basket Class, AA, and NA, and the community.